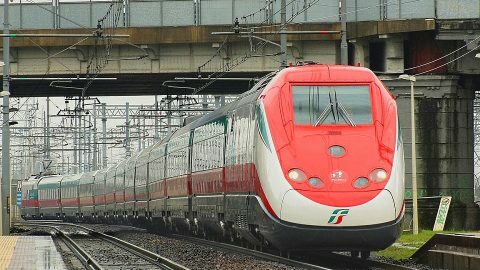 Italy’s national railway operator Trenitalia will launch the preventive and corrective maintenance project of 59 high-speed trains of the ETR 500 type also called ‘Frecciarossa’ (Red Arrow). 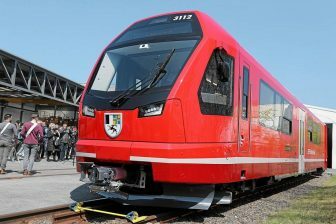 The works will be performed by CAF Italia, a subsidiary of CAF Group, in accordance with the contract valued at circa 120 million Euros. 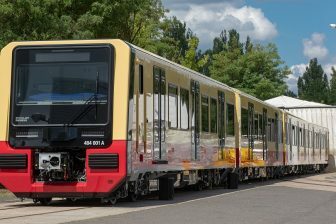 The maintenance tasks will be carried out by personnel of CAF Italia at Trenitalia workshops in Naples, Milan, Venice and Rome. The contractor will also provide technical support both on-track and at the main stations serviced by the high-speed trains. The project has a contractual term of six years with an option for six additional years. High-speed trains in Italy are classified into three categories. The Frecciarossa (Red Arrow) trains are the fastest and most comfortable units. They speed up to 300 kilometres per hour. The Frecciarossa service is provided by two types of trains – ETR 500 and ETR 1000 units. The first class has been running since the beginning of the 1990s while the other was introduced only in 2015. Two other high-speed services are Frecciargento (Silver Arrow) and Frecciabianca (White Arrow). 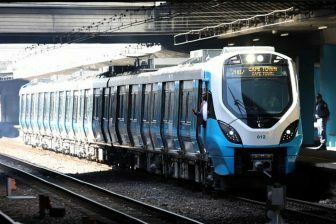 The trains of both classes run with a maximum speed of 250 kilometres per hour. All major Italian cities are connected to the high-speed network. The Frecciarossa trains travel from Milan to Salerno in 4 hours 34 minutes and from Venice to Naples in 4 hours 53 minutes.